Mental Health has long been considered a “taboo” subject, with many people still not feeling completely comfortable sharing or discussing mental health issues – even with those closest to us. However, the more we talk about mental health the more it appears in our social media feeds or on our favourite television shows – and the more “normal” it becomes. The more we involve ourselves in the conversation, the bigger the conversation becomes and as more of us take time to speak about mental health and discuss our own experiences we help others to feel able to reach out, or to broach a subject that they might not have felt comfortable doing so before. 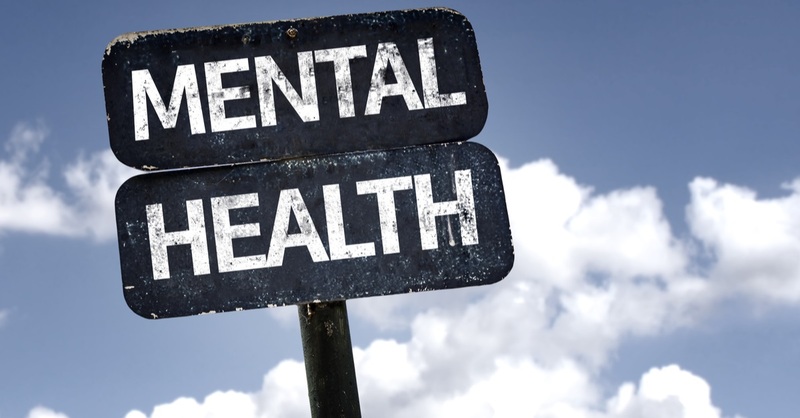 Over the past few years in the UK there has been a huge shift in the attitude towards mental health, with a number of campaigns directed towards helping to remove the negative stigma around mental health and encouraging more of us to share our stories. In particular, a number of campaigns have been aimed at young men – with suicide being the biggest cause of death in young men in the UK – encouraging them to check up on their friends, discuss their mental health and to become in touch with emotions, without a fear of being any less “manly” for doing so. Soap operas, films, chat shows and even the royal family have supported many of these campaigns – helping to further “normalise” mental health issues at the same time as educating the viewers in different forms of mental health and the range of different symptoms. This exploration – particularly in soap operas – helps to remove any misconceptions about particular mental health issues (for example bi-polar disorder which is widely misunderstood in the UK) and give viewers a better understanding of the individual mental health symptoms or issues. One of the biggest shifts in attitudes towards mental health is possibly the involvement of the celebrities and idols that so many of us follow the lives of. In a world where the lives of our favourite idols are so accessible – especially with the introduction of platforms such as Instagram and Snapchat – having people with such influence openly discuss their own experiences with mental health, makes it a lot easier for us to bring it up in conversation in our everyday lives. A film or a soap opera is scripted and, whilst often based on real-life experiences, is completely fictional – however when our favourite celebrities share their own personal experiences – whether it be through social media platforms or televised interviews – we’re hearing a real person’s experience or opinions, not just a character. For many of us, realising some of the richest and outwardly happiest people in the world also struggle with their own mental health can make us feel a little better about having to deal with our own problems. If someone with access to everything they could ever want or need in the world sometimes struggles to get out of bed in the morning – it makes it a whole lot easier to accept when it happens to us on a Wednesday morning in the middle of the working week. Over the past few years a number of celebrities have taken their own lives after extended battles with depression or other mental health issues, with some of the world’s most loved film stars and musicians losing their battle with mental health. With their problems being shared so publicly in the aftermath, many of us have been encouraged to spend more time discussing mental health and many of our other favourite celebrities have helped to continue the conversation by sharing their own opinions and openly discussing mental health in the public eye. The age-old saying “a problem shared is a problem halved” is often very true for those of us who are struggling with mental health issues. Therapy is one of the most affected ways to manage mental health – but even just a conversation with your friends or loved ones can be extremely beneficial for both you and them. Letting your friends know that mental health isn’t something you’re too scared to discuss offers them someone to open up to when and if they need to, whilst discussing mental health in the family home helps our children to grow up without experiencing a negative stigma around the subject. Depression can affect any of us, at any time – even if you’re on the Forbes rich list – and encouraging the conversation about mental health can be beneficial to both you and the people around you. If you’re struggling with mental health issues, cognitive behavioural therapy is one of the most effective ways to get back on the right track and learn how to best deal with the symptoms of a number of different conditions. Sign up as an Early Bird and learn more about the range of therapies we offer through our online therapy services – available to anyone, anywhere.